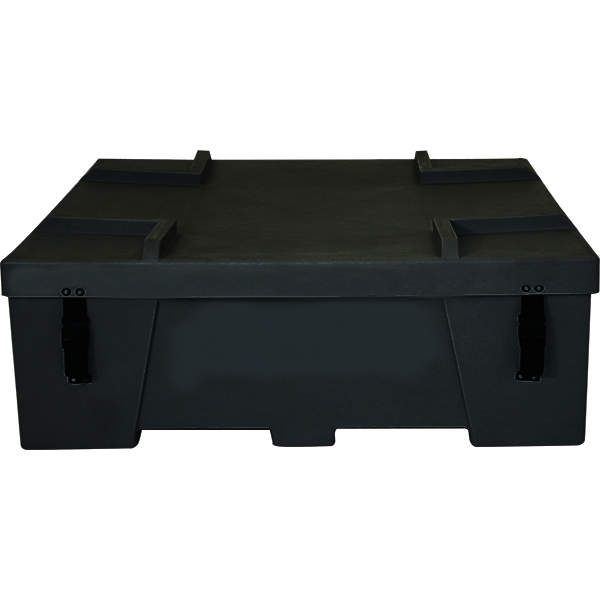 The medium roto-molded freight container is stackable, designed for national & international exhibit freight shipments. Fork truck is required for stacking. Recommended for Trade Show Displays, Accessories, and exhibits. Please Call for a free shipping estimate, we are happy to arrange your delivery.